Powerful, full-featured image editor for iOS. Pixelmator for iOS is a full-featured image editor that gives you everything you need to create, edit, and enhance images on the go. It lets you work seamlessly between your Mac, iPad, and iPhone and even work effortlessly with people who use Adobe Photoshop. Pixelmator for iOS is fully compatible with iPhone X.
Pixelmator for iOS 2.4 Cobalt adds full support for iOS 11. Move images and graphics into and out of Pixelmator for iPad more easily than ever. Every tool for perfecting your photos. Pixelmator for iOS is an incredibly powerful photo editor. 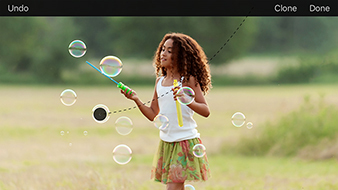 It lets you enhance image colors with pre-designed color adjustment presets. Tweak them even further with powerful color adjustment tools like Levels, Curves, and more. Add breathtaking effects. Wipe away unwanted objects. Reshape areas of an image. Clone, blur, sharpen, desaturate, and do so much more. Instantly improve less-than-perfect images with single-tap color correction presets or take full control over the tone and color of your image with advanced color adjustments. Easily duplicate elements of your image and remove all imperfection with a simple to use Clone tool that lets you paint with a sample of one area of your image onto another. Wipe away image imperfections, skin blemishes and unwanted objects. And do it with stunning quality and incredible speed. Subtly enhance the shape of an object or just have fun with your pictures with simple-to-use Distort tools, or intuitive two-finger gestures. Choose from dozens of breathtaking effects to subtly improve or completely change the look of your image. Combine several effects to create your own authentic look. Enrich your photos with an effect or a frame, or instantly create gorgeous collages with any of the beautifully designed templates. A full set of powerful tools and features. Pixelmator is packed with a full set of powerful painting features, such as outstanding double-texture brushes, innovative color-picking tools, and an impressive, super-fast Paint Engine. So you can sketch, draw, paint, spray color, and do so much more. 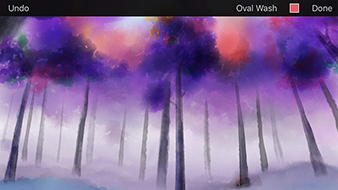 Paint masterpieces from scratch with a full set of powerful painting tools. 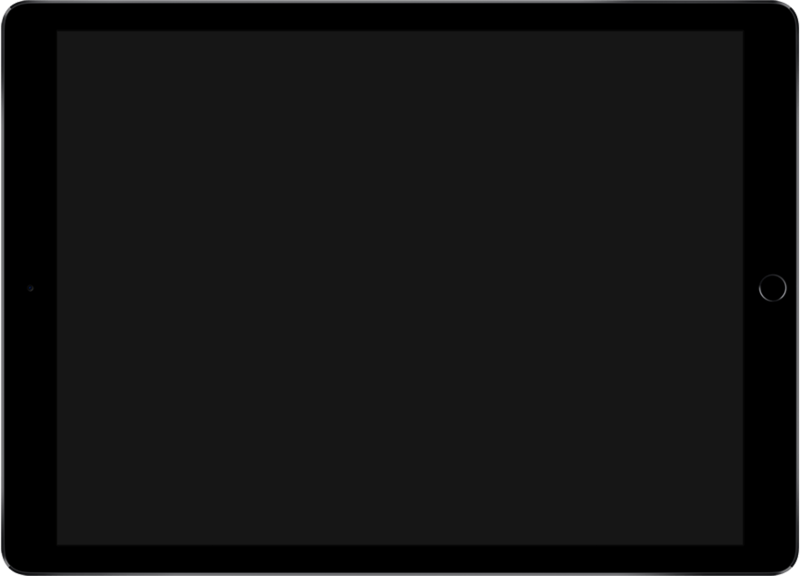 And always enjoy real-time responsive painting, thanks to the incredibly fast, OpenGL ES-based Paint Engine. Choose from over 100 artist-designed brushes of all styles and shapes. All with incredible detail, based on the advanced, double-texture brush technology. Based on our innovative wetness technology, Watercolor brushes apply colors just as if they were wet, so you can create real-life-looking watercolors right on your iPad or iPhone. Create stunning pixel art images with the new, custom-designed Pixel brush. Pixel-accurate, unique brushstroke snapping technology makes pixel-painting easy and fun. Paint in Pixelmator on iPad Pro more naturally than ever with the new Apple Pencil and full support for pressure, tilt, and acceleration sensitivity. Features for pros. And the rest of us. Creating gorgeous images non-destructively begins with layers. And Pixelmator for iOS is an advanced, layer-based image editor. Use any of the twenty-six blending modes to combine layers, shapes and text. Easily boost the colors of your image, create double-exposure effects and stunning collages. Drop in shapes with a touch. Rotate, resize and customize them any way you want with non-destructive layer styles like gradient, stroke, shadow and more. Add a word, phrase or caption, and make it look beautiful with powerful text-styling settings. Easily change the font, size, and color, apply non-destructive layer styles, and more. Use any of the pixel-precise selection tools to enhance and edit areas of an image, remove image background, or cut and paste objects from one image to another. Creating perfectly aligned image compositions is not easy. Unless you use Pixelmator, which has alignment guides, rulers, and pixel-perfect arrangement settings to help you. With Apple Pencil, drawing and painting in Pixelmator becomes even more natural and fluid. Use specially tailored brushes with tilt, pressure sensitivity, and acceleration support to draw and paint like you would on paper. And do just about everything else with greater precision. Best in class Photoshop file support. Pixelmator lets you import and edit Photoshop images. It supports all of the most popular Photoshop features, too. And it lets you save your own images as Photoshop files. So it’s easy to work on the same image, even if you use different apps. Harnessing the technologies that lie within. Designed exclusively for iOS, Pixelmator takes full advantage of the latest iOS 11 features and technologies. So you can enjoy innovative, fast, and powerful tools, intuitive user interface, and state-of-the-art performance. iCloud Drive support lets you easily access all of your images on any device you want. Start creating on your iPhone and continue right where you left off on your iPad or Mac. Work with Pixelmator for iPad and any other app simultaneously with Slide Over or Split View. Pixelmator Photo Editing extension lets you apply Pixelmator effects right in the Photos app. Based on 64-bit architecture, Pixelmator gives you desktop-class image editing performance. 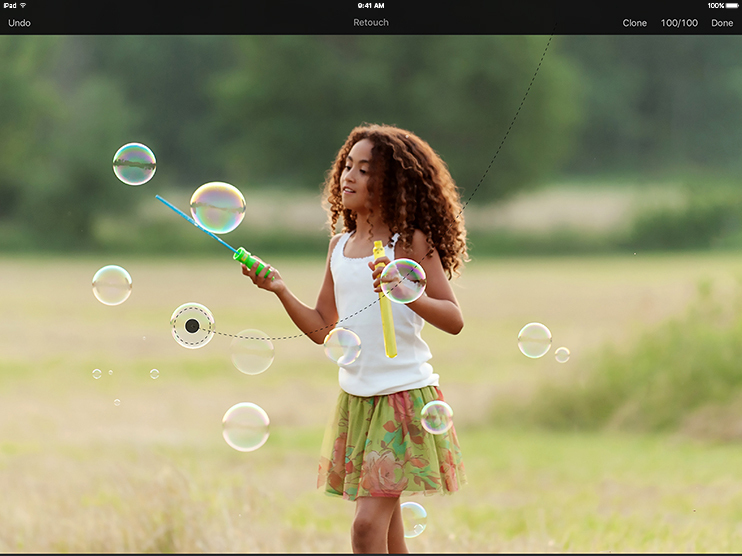 With OpenGL ES, Pixelmator gives speedy, hardware-accelerated image editing performance. Metal-based Distort tools let you reshape areas of an image with unprecedented speed and quality. Pixelmator takes advantage of Grand Central Dispatch technology for advanced multicore processing. Open and edit huge, 16K images up to 100 megapixels on the 12.9-inch iPad Pro. Consistently beautiful. On all your devices. Full iCloud support lets you create and edit images on any device you want. It always keeps all of your images up to date and lets Pixelmator work seamlessly between your iPhone, iPad, and Mac. So, you can start creating on your iPhone or iPad and continue right where you left off on your Mac. And vice versa. Or, you can store images in the iCloud Drive so that you can access them anywhere — even on a PC. Start creating an image on your iPhone or iPad and continue right where you left off on your Mac. Store your images on iCloud Drive and access them anywhere — even on a PC.